Own a keepsake of Hoover Dam! The Bureau of Reclamation - which built and operates Hoover Dam - offers several products for purchase that have been authorized for sale under the "Hoover Dam Miscellaneous Sales Act" of 2000. These items are only available from our vendor's secure website or at the dam. 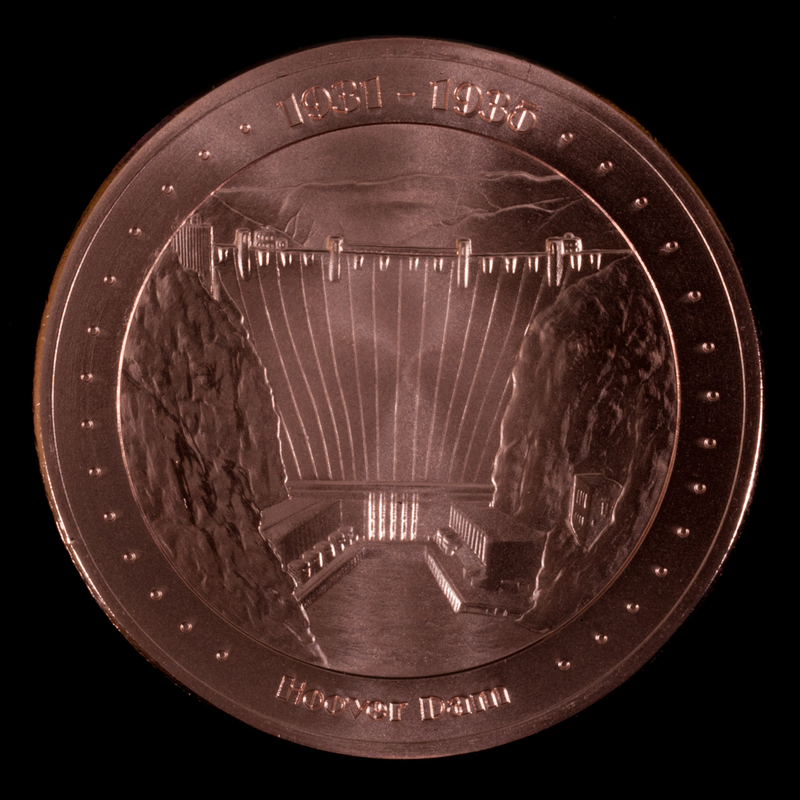 Limited editions of medallions have been stamped from the copper cabinets that housed wires carrying electricity from Hoover Dam's generators to the transformers. These cabinets have been replaced with more efficient materials, allowing the copper to be used in the manufacture of these one-of-a-kind products. 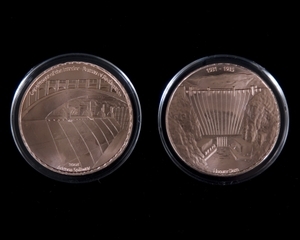 Each medallion includes a Certificate of Authenticity, and a brief history of the copper's role in the operation of Hoover Dam. 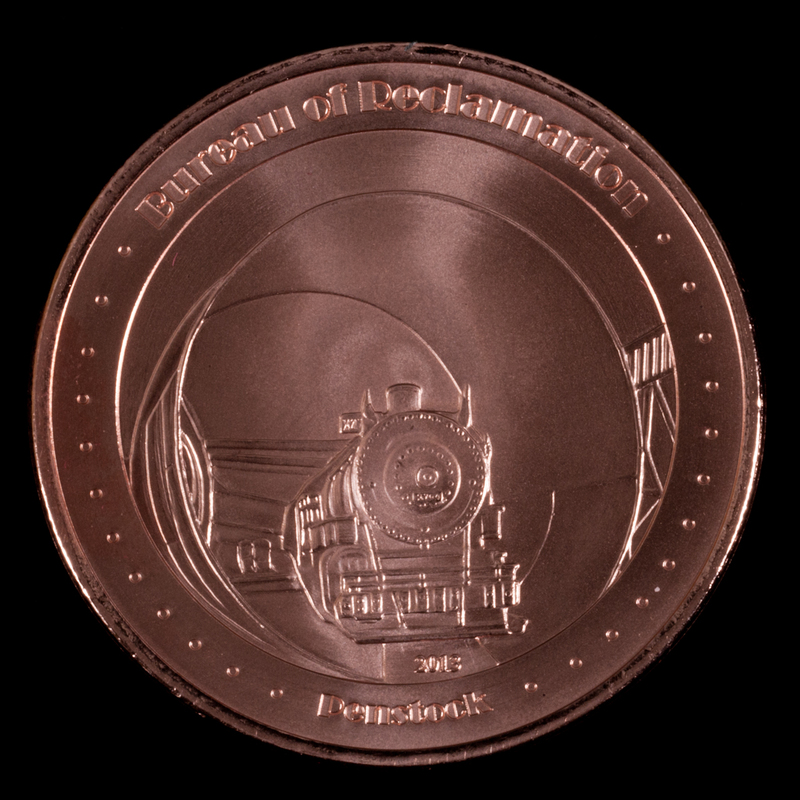 These medallions are original designs, stamped from 100% Hoover Dam copper. Click on the photo above to view image. Click photo above to view larger image. see them all at our On-Line Store. For more information about Official Hoover Dam memorabilia or our On-Line Store, contact Chaz Pando at: (702) 494-2521 or at cpando@usbr.gov.